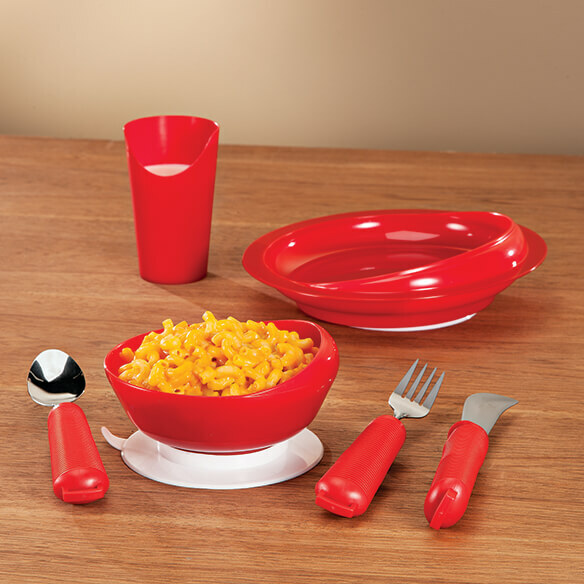 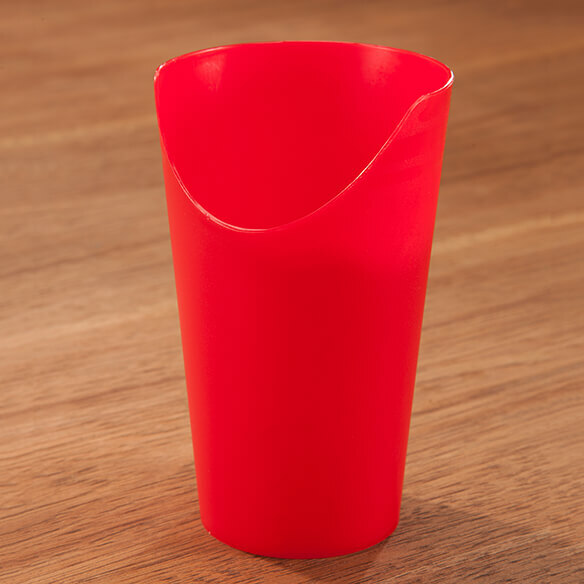 Cleverly designed Power of Red™ Nose Cutout Cup easily can be tipped back for drinking without tilting the head back. 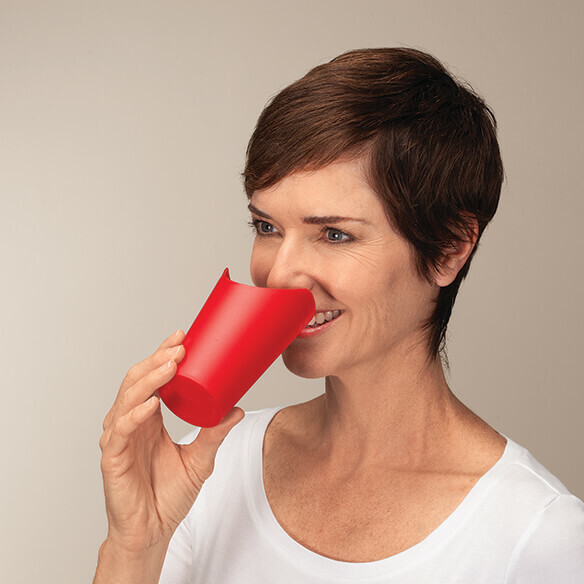 Ideal for those with neck stiffness or prone to choking, the nose side of the drinking cup for disabled adults is cut out to allow for tilting at a comfortable angle. 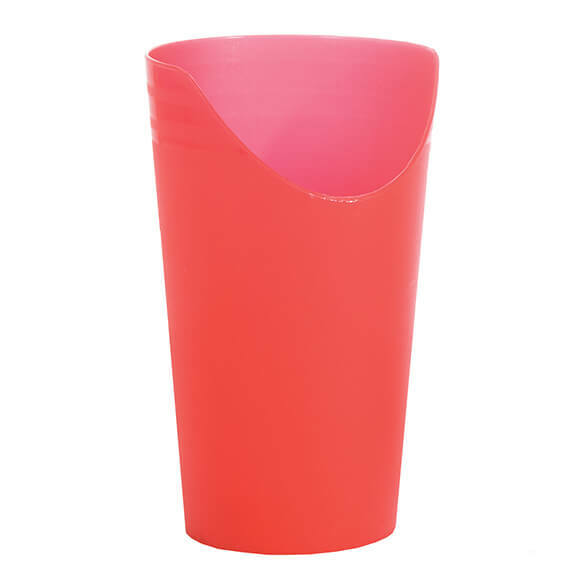 The Cut out Cup holds 8 oz.